Born in West-Flanders, Belgium, Bryan had a passion for music ever since he was a kid. A few of Bryan's biggest influences are Delerium, Vangelis, Sleepthief, Amethystium, Jean Michel Jarre, Ryan Farish and ERA. Through them Bryan discovered the relaxing side of music and started experimenting with electronic music. 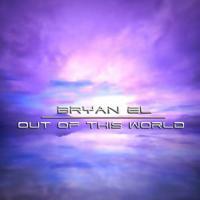 A nice example would be his track "Solaris" wich you can listen to on his official website www.bryanel.com . 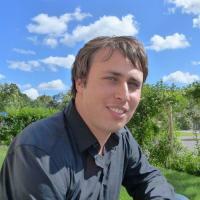 Bryan studied Graphical Arts at the Holy Technical Institute, Brugge, Belgium. One of his great hobby's is designing graphics for websites. Allthough his passion for music exceeds even his graphical interests. To Bryan... music is all about harmony! Dreamy symphonies that send you off into another world. Music is the universal language in wich he translates his feelings and shares them with the world. 'Out Of This World' is an extremely well made album that should find a place for itself in the world that is troubling itself with day to day hassles and stress. Truly a stress reliever, it is an album that can be played in the night and ensure a peaceful slumber.